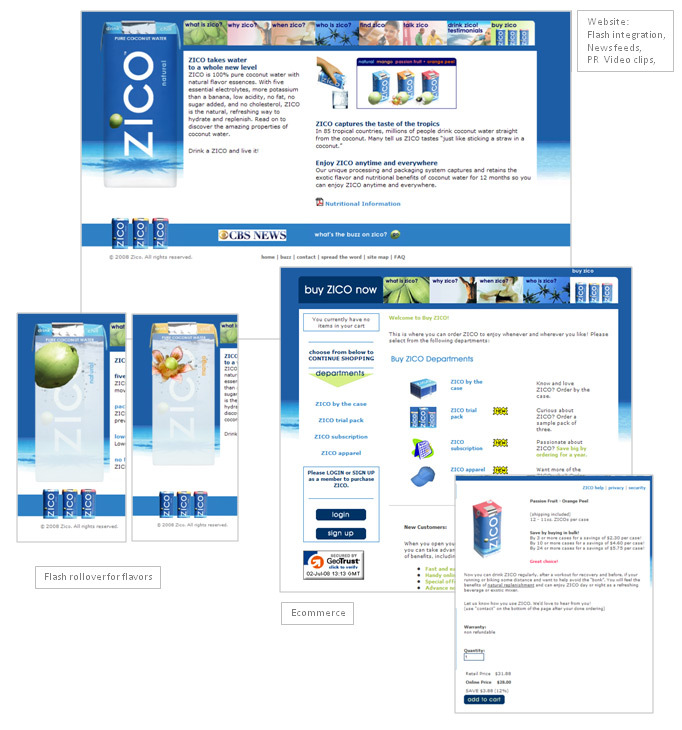 Description: ZICO is 100% pure coconut water with natural flavor essences. With five essential electrolytes, more potassium than a banana, low acidity, no fat, no sugar added, and no cholesterol, ZICO is the natural, refreshing way to hydrate and replenish. Read on to discover the amazing properties of coconut water. Website creation, Flash integration to highlight flavors as the user rolls over the flavor package, e-Commerce to sell Zico online, PR module with media integration, current events, contest promotion.